On December 14, 2011, Helsinki Citizens’ Assembly-Vanadzor presented a manual noting the judicial cases initiated and conducted in 2001-2011. The study was conducted by Helsinki Citizens’ Assembly-Vanadzor and supported by Counterpart International-Armenia and USAID. “Precedential Right in the Process of Practicing Justice”, the manual published by Helsinki Citizens’ Assembly-Vanadzor, includes 20 judicial cases initiated by the organization over the last 10 years. Chairman of HCA Vanadzor, Artur Sakunts, noted that the organization will continue initiating judicial cases and the publication of a second volume is also possible, which will include the 25 judicial cases currently in process. President of the Strategic Ligation Center, human rights organization lawyer Edmon Marukyan, thanked HCA Vanadzor for its close cooperation and for supplying them with important precedential cases over the last 10 years. “HCA Vanadzor has played a unique role, as by acting like a filter it has received citizens, has filtered and selected precedential cases and has given them to us to conduct the cases; this is a very crucial role”. E. Marukyan added that the cases presented in the manual are those conducted by him, the lawyers of HCA Vanadzor and advocate Karen Tumanyan. Marukyan also presented 5 precedential cases conducted by him. Referring to HCA Vanadzor vs. the RA Ministry of Defense, E. Marukyan said that this was one of the first cases when there was a lawsuit against the RA Ministry of Defense. The dispute was regarding the provisions of the Law on State and Official Secrets. 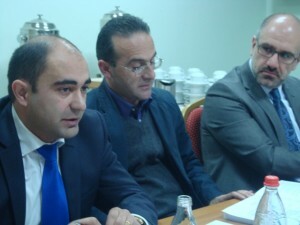 Director of “Arni Consult” LTD, lawyer and expert on the project, Ara Ghazaryan said that they had developed criteria for objective evaluations, which revealed what impact precedential right had on the development of domestic rights and legal practice, as well as to see whether violated rights were restored. He said that they studied 20 judicial: criminal, civil, and administrative cases, which referred to violations of labor rights, assembly rights, the right to freedom of information, and other rights. 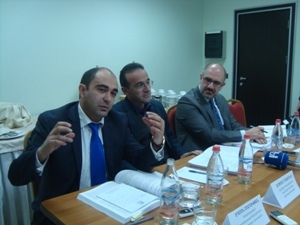 A. Ghazaryan stated that 4 of the cases (21%) had a crucial impact, 10 cases (50%) were important, and 6 cases (31%) did not have any impact; however none of the litigation had a negative impact. As to the restoration of violated rights, in 7 of the cases the right was completely restored, in 2 cases it was partially restored, and in 10 cases it was not restored. Human rights activist and an expert on the project, Artak Zeynalyan, explained what strategic litigation is. He said that they select an aggrieved person whose situation corresponds to the criteria of strategic litigation and then they consistently proceed with the case to reach a favorable and purposeful act. The result of the strategic litigation can be a tactical victory as well. An example of that is HCA Vanadzor vs. the RA Ministry of Defense. HCA Vanadzor lost the actual lawsuit but the loss led to a situation when the MoD and other departments began to change their attitude towards issues related to state confidentiality. Although the Administrative Court did not wish to offend MoD and made an unfair decision, after that case the MoD is always more sensitive to HCA Vanadzor requests. In terms of a tactical victory mentioned above, it is important to note that strategic litigation never has a negative impact. Artak Zeynalyan added that it was time to develop criteria for strategic litigation in the society of human rights activism in Armenia and to document the experience for the precedential right to develop.